Notes: Outboard Racing Castor 4 gal. 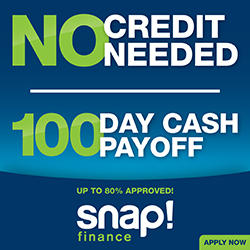 F-100 $149.69 Notes Formula Kart 100 12 qt. 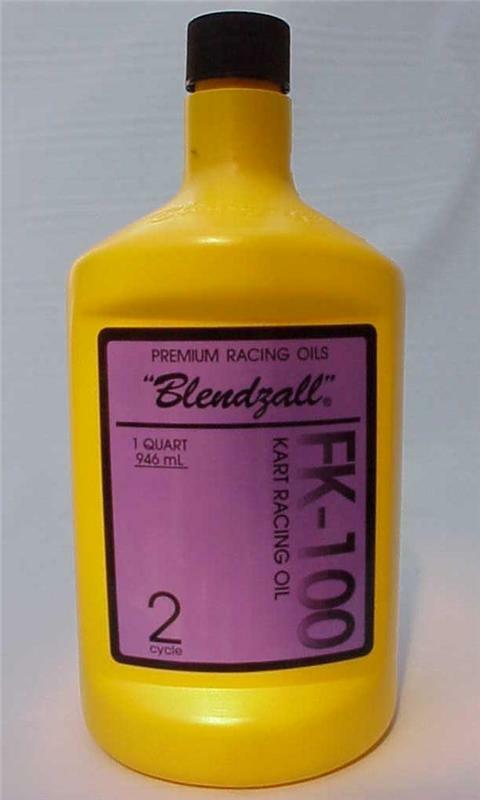 F-100G $168.05 Notes Formula Kart 100 4 gal. F-454 $154.44 Notes Excell 4 Cycle Kart Racing Oil SAE 0W/5 12 qt. F-454G $206.06 Notes Excell 4 Cycle Kart Racing Oil SAE 0W/5 4 gal. F-455 $65.88 Notes Ultra Racing Castor 2 Cycle 12 pt. F-455G $143.50 Notes Ultra Racing Castor 2 Cycle 4 gal. F460 $76.68 Notes "Green Label" 2-Cycle Racing Castor 12 pt. F460G $166.82 Notes "Green Label" 2-Cycle Racing Castor 4 gal. F-465 $112.32 Notes 4-cycle Racing Castor 45W 12 qt. F-465G $133.67 Notes 4-cycle Racing Castor 45W 4 gal. F-465L $115.13 Notes 4 Cycle Racing Castor (Light) 35W 12 qt. F-465LG $139.10 Notes 4 Cycle Racing Castor (Light) 35W 4 gal. F-475 $79.16 Notes Watercraft Racing Castor 12 pt. 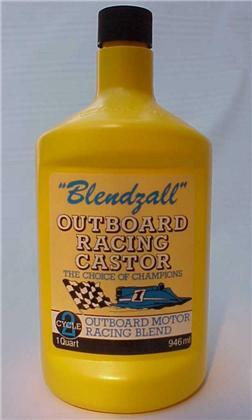 F-475G $183.46 Notes Watercraft Racing Castor 4 gal. F-485 $60.48 Notes "Gold Label" Racing Castor/Power Booster 12 pt. F-485G $121.57 Notes "Gold Label" Racing Castor/Power Booster 4 gal. F-499 $137.38 Notes Outboard Racing Castor 12 qt. F-4600 $141.37 Notes "Green" Racing Castor 12 qt. F-4600G $164.74 Notes "Green" Racing Castor 4 gal. Provides superior lubrication for increased performance and extended motor life. The ideal lubricant to use with alcohol and nitro fuels as well as gasoline and gasohol without seperation.